IFEC – Does he not believe in IFEC’s dream to somehow do everything despite not having the capital? TICON – That’s interesting, have seen any sales from Ticon for a number of months now. 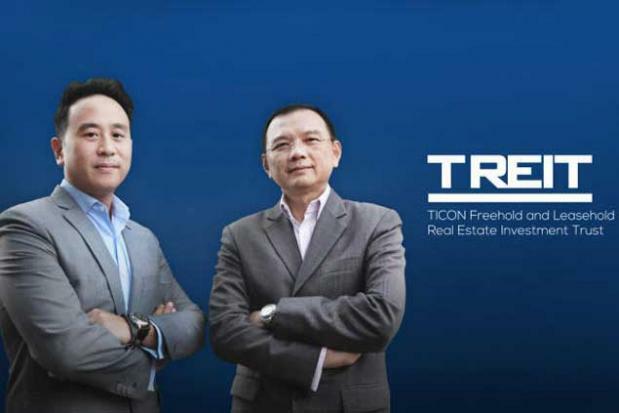 Ticon Freehold and Leasehold Real Estate Investment Trust (TREIT) listed on the Stock Exchange of Thailand in January 2015. Managing director Amorn Chulaluksananukul and Charasrit A Voravudhi, general manager and head of business development, discuss the fund’s strategy and outlook. 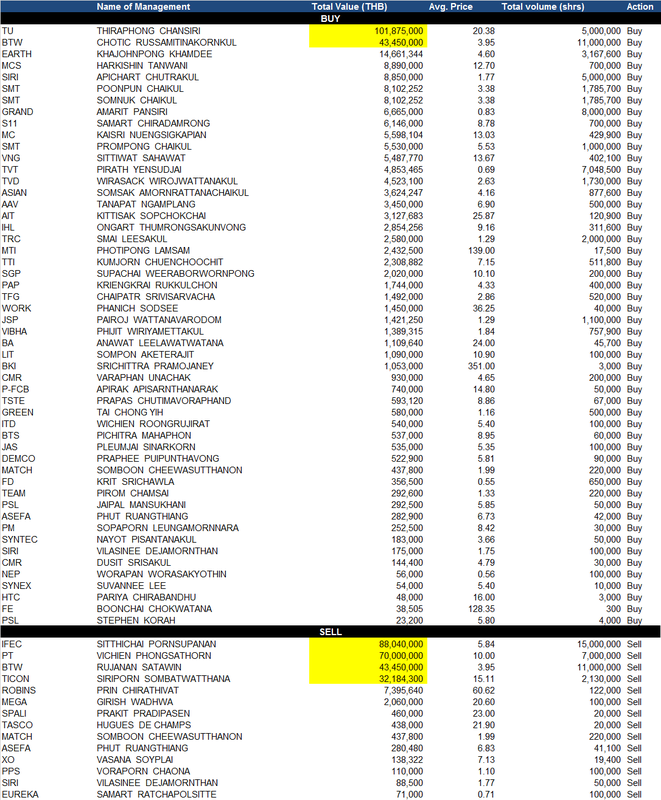 What assets are currently in TREIT? Our investment portfolio comprises 98 units of premium warehouses and factories with total rental area of 369,705 square metres on 503 rai of land. These include 71 warehouses covering 293,805 sq m (79%), and 27 factories covering 75,900 sq m (21%). Freehold investments account for 56% and leasehold investments 44% of the portfolio. The properties are in strategic locations at 16 leading industrial estates, industrial and logistics parks in Thailand. The fund’s total asset value is 7.7 billion baht. How will you continue to develop TREIT? We are continuously exploring new opportunities to expand through a combination of assets purchased from Ticon Industrial Connection Plc and from other companies. What is important is that we have to ensure that the revenue structure of the prospective assets is similar to that of our existing assets which generate recurring and stable income streams. We need to understand clearly how the assets operate as well as identify key success factors of the business and cover locations that are strategically attractive to the existing and potential customer base. We have a positive outlook for the industry, supported by the introduction of the Asean Economic Community. Thailand continues to be a key destination for international investors who aim to use the country as a distribution hub and manufacturing base, given the competitiveness of the manufacturing industry and ideal location at the centre of Asean. As the REIT manager, we also have to ensure that TREIT is optimally managed in terms of both revenue and expenses. We need to utilise the appropriate financial instruments to enhance returns to our investors. Ticon Industrial Connection Plc is the country’s largest provider of industrial properties for rent and also a major provider of warehouses to serve companies’ logistics needs. Managing director Virapan Pulges discusses the company’s strategy and outlook. What are your views on the region and Ticon’s ability to expand to neighbouring countries? We have begun an expansion into Indonesia with two partners, the Indonesian property developer PT Suraya Semesta Internusa Tbk and Mitsui & Co. Indonesia is an attractive location because of its population, demographics, and the current and potential expansion of businesses. The population is over 240 million people, there is high domestic consumption, 10 million motorcycles are sold per year and 1 million cars; it is a vibrant economy. With our two partners we feel very confident that our business will succeed and together we have developed the first phase of 34,560 square metres and aim to complete the second phase of 51,000 sq m within this year. What is interesting is that even though it is a “new” country, our customer base is similar because multinationals have a presence in every major developing economy. Thus, from the customers that we service here in Thailand, we can service them as well in Indonesia and other countries in Asean. Beyond Indonesia, we are looking at Vietnam because of its large population of 90 million, but we do not have a firm timeline. Do you feel that Thailand has lost its attractiveness as a destination for companies to invest in? No, Thailand is still very attractive for companies investing in the region. However, the types of customers we have and their nationalities are slightly different today compared with a decade ago. You will recall reports that companies such as Samsung are choosing to invest in Vietnam rather than Thailand, and yes, that is correct, because for low-cost, labour-intensive assembly work Vietnam is indeed more attractive than Thailand. However, the final product is still transported to Thailand and shipped via the Laem Chabang port. So we see that Thailand is attractive because of its location and logistics strengths for businesses with perhaps more capital intensive manufacturing utilising Thailand’s infrastructure as a distribution hub. Also, with the government focusing on new railway tracks throughout the country, this positioning of Thailand will only become stronger. How has your customer base shifted over the past decade? In the past, more than half of our customers were from the electronics industry and from Japan. In the past five years we have witnessed a seismic shift in technology. Several electronic products such as hard-disk drives, fax machines, cameras and so forth, which were a huge component of Thailand’s electronics cluster, have since become marginalised. Comment: A regional shopping mall player in the making. Comment: No surprises here, more curious to see how 2Q16 plays out.